Good afternoon, ladies and gentlemen of the Committee. Thank you for inviting me today to speak. As I wear several hats when it comes to North Korea, whether it is HanVoice, www.cankor.ca, or the North Korean Human Rights Film Festival Toronto, on behalf of all these organizations, I again extend my thanks. I want to give you my two cents worth regarding all the fuss about Rodman and the third nuclear test. 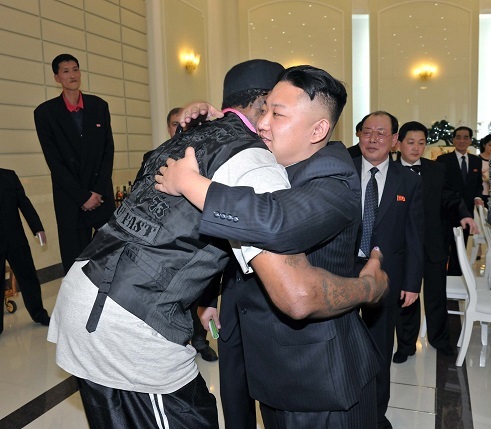 On Rodman’s visit, if the officialdom would not engage, if the officialdom does not take a pro-active stance to engage, if the officialdom simply refuses to engage, then what option does the DPRK have but to engage with non-officialdom types like the NY Symphony, Rodman and Eric Schmidt? I might add that the media do not see these steps as DPRK opening up! What about the lifting of restrictions on tour groups to visit the country? What about the permission to use the Internet and mobile phones?